Understanding the Bouguer Anomaly: A Gravimetry Puzzle addresses the geophysical and geodetic applications of gravity field interpretation, taking into account the evaluation of the Bouguer anomaly. 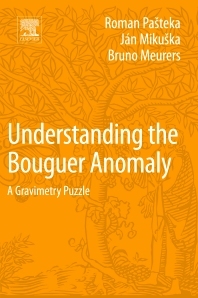 Containing several contributions that deal with persistent questions in gravity data processing and providing verified workflows, the book covers historical and practical aspects of the Bouguer anomaly. Geophysicists and exploration geologists will gain advanced knowledge in gravimetry, physical geodesy and an understanding of the evaluation and impact of the Bouguer anomaly in gravity field measurement. Roman Pasteka is an expert in applied geophysics, head of the Department of Applied Geophysics at Comenius University, and Associate Editor in the editorial board of the journal Geophysical Prospecting. He is the author and co-author of many important publications (papers) in peer-reviewed, high-ranked scientific journals. Jan Mikuska is an expert in applied gravimetry, CEO of G-trend Ltd, and a senior geophysicist. He is the author and co-author of many important publications (papers) in peer-reviewed high-ranked scientific journals. Bruno Meurers is an expert in geophysics, and a member of several editorial boards of high-ranked journals. He is the author and co-author of many important publications (papers) in peer-reviewed high-ranked scientific journals.